Should You Pay to Quit Drinking Alcohol? In this video we talk about the massive quit alcohol industry that has arisen over the past few decades… We will look at the type of environment that you are likely to be put in while in “treatment”. We’ll also look at how long you are likely to stay, how much is likely to cost, and what kind of results you can expect. Should you pay if you want to quit drinking alcohol? Should you fork over a lot of money because that’s what the Quit Alcohol industry wants you to do? This industry has just blossomed in the last couple of decades. There have been dry out clinics for a long time, but in the past 2 or 3 decades, it seems to have just gotten bigger and out of proportion. So, one hand you’ve got the alcohol industry and you’ve got to pay for your alcohol and on the other hand, you’ve got the quit alcohol industry and the money you’ve got to pay for quitting drinking alcohol. What do you get for your money if you’re going into one of these places? I’m talking about the dry out clinics. Generally, you’re talking about thousands and thousands of dollars or euros or pounds just to get into these places. Normally these dry out clinics will last for a month if you’re an inpatient. So once you get in there, you’re basically in a place which takes you out of your environment, out of the place you would normally be drinking. This, to me, is a good thing. It takes you away from the stresses and strains of normal life. 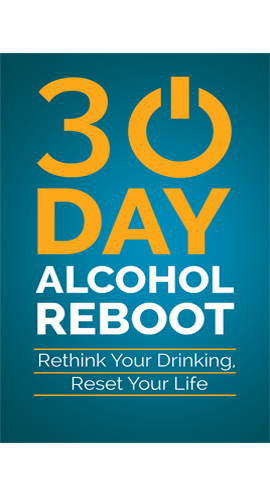 It takes you away from the normal alcohol drinking culture that you’re living in. You can’t buy alcohol in the dry out clinic or bring it in. There are no bars in there, or places to get a drink. From that perspective, you’re isolated from the world. A lot of the time, I recommend that if people are quitting drinking, that they start it off by trying to take their vacation. So, if you have a two-week vacation coming up, take it and have it coincide with you quitting drinking. It just takes you out of your normal life, away from the stresses and strains. The difficulty with that is that once you’re outside your normal environment, it’s all well and good. 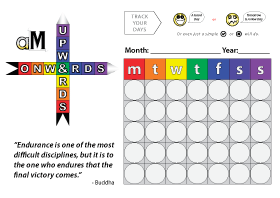 But you’ve got to come back into your daily life, into the real world where all those opportunities to drink, or the temptations to drink, and nothing has really changed. Even if you go on a 2-week holiday you have to come back. And unless you change a lot about what you’re actually doing in your daily life, then a lot of the temptations will still be there. Nothing will have changed. You have to do a lot of work inside your head first. A lot of mental preparation to get you into the frame of mind where you know you can cope with this kind of environment. What happens in dry out clinics is that they put you into either an in-house 12-step program or they ship you out and you go to a local 12-step group. What you end up with is a glorified hotel. You have medical staff there, fair enough. You might have a resident doctor and a few nurses, but you’re basically paying for a glorified hotel and a 12-step program that you can get anywhere else for free. So, I’m not too sure about its validity. What I’m saying is that they take you outside your normal environment, away from your home and all alcohol, and they put you into this artificial environment for a month. There are doctors and nurses there to help you if you do happen to go through bad symptoms or side effects, but after the month, you’re put back into your old environment. I see a big problem here because I don’t think that going through a 12-step program, that most of these places will put you through, is a substitute for good therapy. 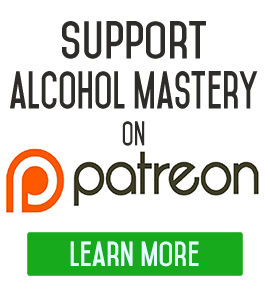 What alcohol mastery is all about, what I teach, is complete self-sufficiency, that you are completely responsible for your habit. You’re 100% responsibility. You have to make 100% commitment to changing your life, but that you can do it. It’s all mind over matter. It’s in your head first and in your body second. And what you think in your head can control a lot of what you do down in your body. It controls everything you do in your life. 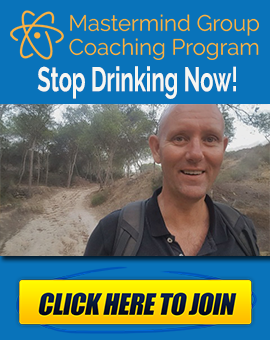 I’m trying to get people to try and control and have as much power over their own habits as much as possible, their own alcohol problem if you want to put it like that. Then from there, move forward and away from alcohol and into something brand new. Focus on the future not something from the past. I just wanted to ask if you should you be paying thousands and thousands of dollars for treatment outside? I think, in some cases, a minority of cases, some people do need hospitalization and medical treatment. They need to be under medical supervision in order to quit, but that’s for a very small minority of people. We’re talking about people whose whole lives are revolving around alcohol. Getting up first thing in the morning, the first thing they want to do is have a drink. They haven’t had a break from alcohol for a long time. They also are more likely to drink spirits. They’re not beer or wine drinkers. These are people that drink Vodka or Whiskey in huge quantities’ daily. Because they’ve done this for such a long time, their body has internal damage and cannot function without the alcohol. The body would just go into almost a shutdown mode. So, they are the type of people that need medical attention. In one of the videos in the starter pack, I’m going to go a bit more deeply into how you really will know whether or not you are in danger, whether you’re going to suffer from the bad symptoms of quitting, or whether you’re at risk of dying. But for most people, they don’t need that. The Quit Alcohol industry are making thousands. They want you to believe that everyone who wants to quit should go and get medical attention. That’s not true. You can get medical advice, but medical attention is another thing. Be careful how you talk to yourself…you are listening! Right on. 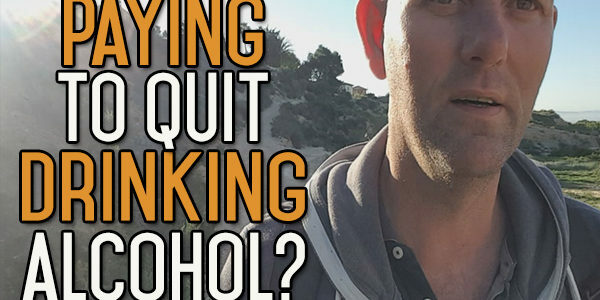 I think the “quit alcohol” industry also creates a lot of issues surrounding drinking alcohol, which compound your “problem”and have you juggling lots of other issues when the problem kind of starts and ends with what you put in your mouth. Inpatient, you’re paying for all these professionals and lodging you don’t need (for the most part) — and I suspect, however, that most people are hoping the alcohol issue is something other than what it actually is. Keeping the stuff out of your mouth.